At first you might think that the idea of having a student involved in your pregnancy, birth, and postpartum care is a little unnerving, especially if this is your first baby. And if I was in your position, I might agree – this is an exciting but vulnerable time in your life and you just don’t want anyone, let anyone everyone involved in your care. However, midwifery students aren’t average. They are incredibly “bright eyed and bushy tailed” as they enter their clinical placements, ready to provide you with informed choice, labour support, and uphold midwifery standards of excellence. The Midwifery Education Program (MEP) is a four-year University degree where successful graduates earn a Bachelor’s Degree Health Sciences. More often than not, midwifery students already have another University degree and varied life experiences that make them unique. Clinical placements make up the majority of the program and allow students to have an overwhelming amount of experience in obstetrics. A major component of midwifery practice is mentoring students. There are two levels of students that you may encounter: the junior student, also known as the Normal Childbearing student or the senior student, who is only months away from graduation. Junior students have had some observational clinical experience while senior students have delivered several babies and been to many more deliveries. Junior students are never left to manage your clinical care on their own, their independence is granted slowly as they gain skills, and they are always with their preceptor (your midwife). Senior Students are much more independent as the expectations grow and you might see them running your clinic visits on their own as well attending births as the second midwife, and postpartum home visits without their preceptor. Despite this, you will never be without the care of the Registered Midwife at any time in your pregnancy, birth, or postpartum period. I love being a student in clinical placement and I love being your student. I get to create relationships with clients and support them through this life changing time. As a student midwife, I have been allowed the privilege of caring for so many clients, and I can’t thank you enough. We learn so much from you, in any and all circumstances. We care deeply about your wellbeing and I can tell that clients care about our learning and experience as well. The relationship that we get to have is special. By having a student involved in your care, you are helping your community have access to more midwives in the future – so thank you! 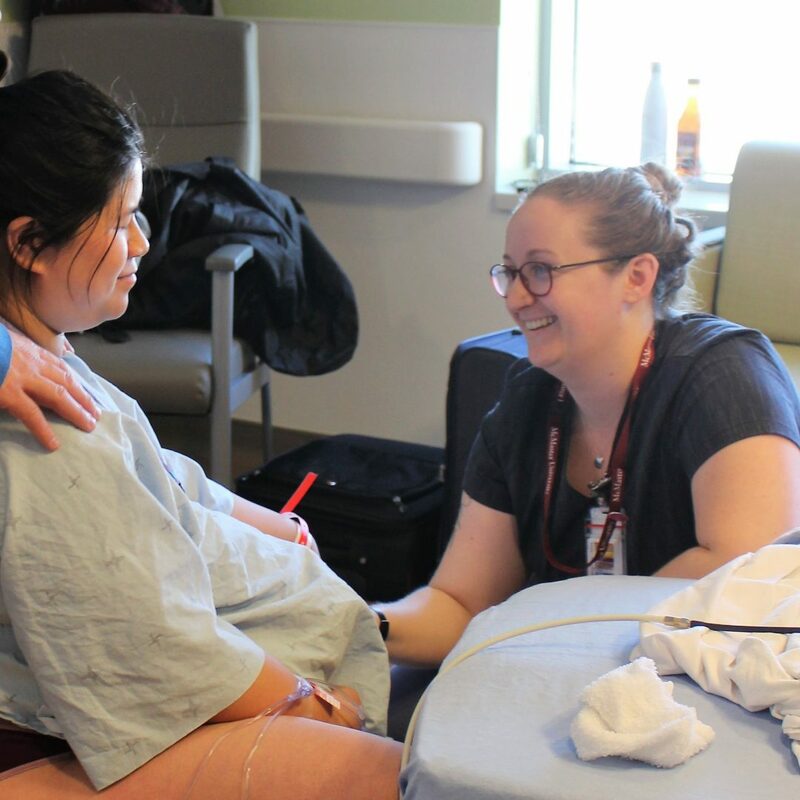 If you have any questions about having student involvement in your care, please speak with your midwife or if it doesn’t seem like the right fit for you, that’s okay too. We can’t wait to meet you and thank you for inviting us to the birthday party!